Paella catering servicing Sydney for private parties, weddings and corporate events. 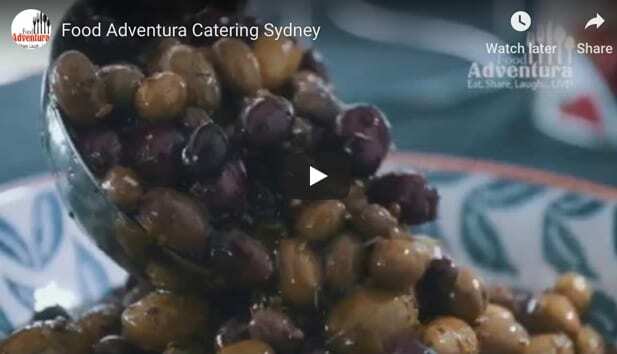 Food Adventura prides itself on serving authentic Spanish food across Sydney since 2011. Food Adventura’s menus were created from a passion for authentic Spanish food and are made with only the freshest locally sourced ingredients. We offer tailor-made packages to celebrate any occasion from private parties to weddings or corporate events. We can cater for any event, large or small, and love to customise our menus to make your event perfect for both your guests and your budget. Paella is at the centre of any Spanish party, and paella catering is what we are most famous for, explore our paella catering menu here. "Our mission is to create a unique and enriching experience, connecting people through delicious food to be shared and celebrated." 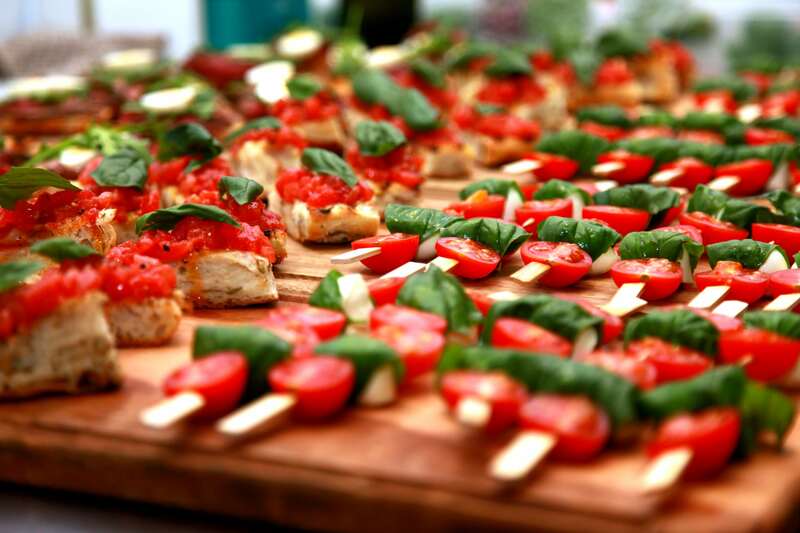 We provide a unique, affordable, hassle-free on site catering solution. A fun and affordable way to celebrate with your colleagues or clients. “We would like to thank you so very much for your seamless, professional and absolutely delicious food at our baby girls christening. Everything was amazing and we had guests raving on about the food even days later! Your help and professional manner in all that you did was impressive and we would use your services again in a heartbeat. “I cannot thank you enough for the tremendous service you provide! It was such an incredible meal and all my guests raved on about how lovely the paella was – I agree! It was the first time I had thought to go with a catering company that specialises in Spanish Cuisine and I’ll definitely be using your company again. 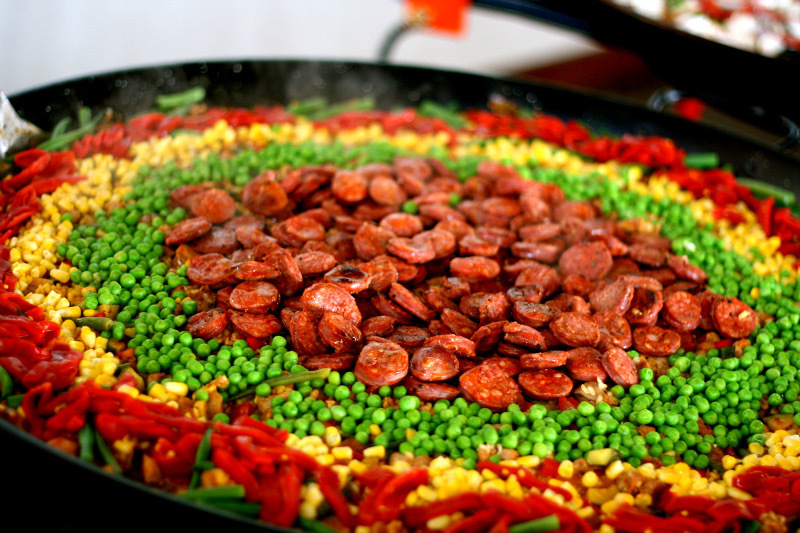 Food Adventura has been offering paella catering across Sydney for over 7 years. Not only are we well-established, but we’re also passionate about paella & Spanish food catering. We understand that cooking paella isn’t just about the food; it’s a spectacular party food and a great dish to share with your family and friends. We take great pride in using only the finest and freshest local Sydney produce and ingredients available. We bring to your table the best of what Sydney has to offer. Our onsite paella chefs and wait staff maintain the highest standards so that you can relax and enjoy your event. We take great care to preserve authenticity and maintain the highest level of quality. If that's not enough, we maintain the highest rating on Google for Sydney paella catering. We guarantee to impress your guests, and we receive positive testimonials after every event. Everything about Food Adventura was amazing! The food, the communication, the service. Thanks you for providing such quality service and quality food for our party! We highly reccomend! Wonderful wonderful!! Highly recommend Food Adventura. The food was amazing, the staff so professional. They set up quickly and was so efficient. Everything ran so smoothly. It made our daughter’s first birthday a memorable one and all the guest commented on how great the food was. We can’t thank you enough for making our lives a little easier that day. Food Adventura catered for our wedding at they did a fantastic job, we still have people commenting weeks after on how great the experience was and how amazing the food tasted and looked. The communication was very impressive and we were offered a degustation at our own house for the options we chose and found it very helpful for deciding the food options. 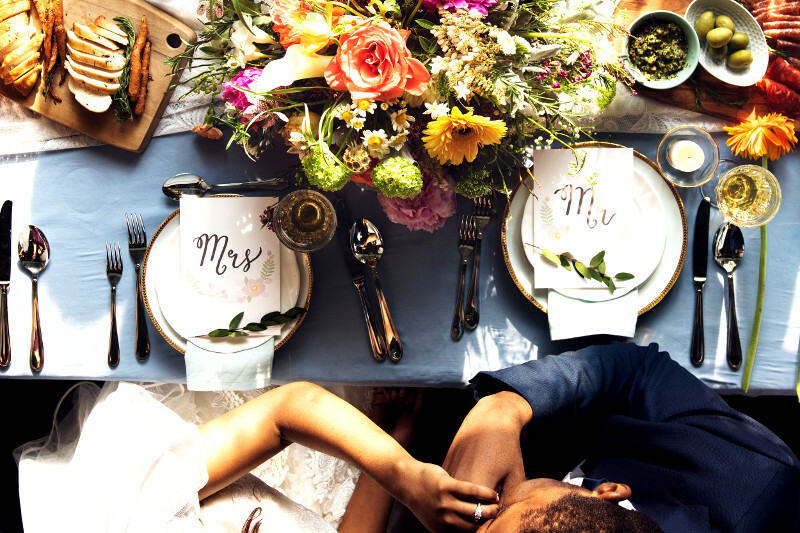 It was an absolute delight to have such a diligent and thoughtful catering company provide their services at our wedding and we give our highest recommendations for Food Adventura. Our chef arrived promptly to set up, prepare and serve our meal perfectly on time. The aroma during cooking was amazing!! We couldn't wait to taste the food and it didn't disappoint! There were plenty of leftovers that we enjoyed for dinner that night! Food Adventura provide exceptional quality service from beginning to end. From point of contact communications were helpful and responsive. The team are very organised and with professionalism and minimal fuss arrived, set up , prepared and presented an amazing display of food. Everything was fresh and tasted incredible. The whole process was seamless the team cleaned up , leaving remaining paella in bamboo take away packs. Food adventure really were excellent for an event of 70 people at our home.food adventure looked after all the food prep , serving and clean up. I will defiantly recommend food adventure as a five star company. ABSOLUTELY AMAZING! Bruno and his team helped us host a large event at home and everything was superb! From the get go, Bruno is super attentive and responsive to all queries and on the day the team were professional, seamless and the food was delicious! We had so many guests complimenting the tapas and the paella! We look forward to having the opportunity to bring your team back for another event in the future. Thank you so much Food Adventura! Food Adventura was a the perfect catering extravaganza for my social gathering. The food was spectacular and you know the food is great when all your guest go quiet!! Bruno was our chef and he was professional, personable and informative to anyone who wanted to know how to cook a delicious paella. Thank Food Adventura for making my day with all my friends more awesome! !